► What document will I need? 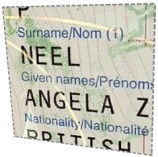 If you want to change your name, you’ll need a formal document to prove it — which you can send to HM Passport Office and the DVLA (and other official bodies). Anyone can use a deed poll to change their name, but you may be able to use another document that you already have. This interactive guide will work out what document you can use. Are youIs your child a British national? Have youHas your child got nationality of any other country (i.e. dual nationality)? Are youIs your child resident in the U.K., the Isle of Man, or the Channel Islands? What sort of change do you want to make to your name? In what way do you want to take your partner’s name? Are you divorced from your partner (or has your civil partnership been dissolved)? Apart from keeping your own surname as a middle name — doDo you want to change any of your forenames at the same time? Are you planning to renew your British passport (or apply for your first British passport) in your new name? A deed pollYour original marriage certificateYour divorce documents will be accepted by HM Passport Office, the DVLA, and all other government bodies, as well as all banks and other organisations in the U.K. and the DVLA, and — together with your updated passport — by all other government bodies, as well as all banks and other organisations in the U.K. however if you don’t also update your passport straightaway, some organisations may insist on seeing a deed poll instead. A deed pollIn general — so long as it’s in English — your original marriage certificateIn general — so long as they’re in English — your divorce documents will be accepted by U.K. Visas & Immigration and HM Passport Office, who will issue youyour child a naturalisation certificate and a passport in yourtheir new name. 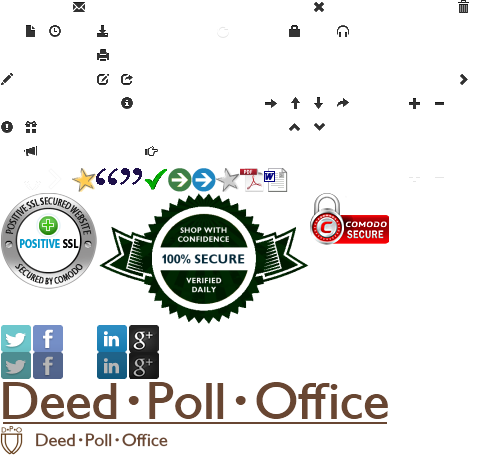 Your deed pollmarriage certificatedivorce documents — together with your British passportupdated identity documents from U.K. Visas & Immigration — will also be accepted by the DVLA and all other government bodies, as well as all banks and other organisations in the U.K.
A deed pollIn general — so long as it’s in English — your original marriage certificateIn general — so long as they’re in English — your divorce documents — together with your updated identity documents from your own country — will be accepted by the DVLA, HMRC, and all other government bodies, as well as all banks and other organisations in the U.K. If you eventually applyyour child eventually applies for naturalisation as a British citizen, U.K. Visas & Immigration and HM Passport Office will accept yourtheir deed pollmarriage certificatedivorce documents, and your child’s naturalisation certificate and passport will be in yourtheir new name. However, if you have a specific reason to apply for a deed poll — for example, you have some documents in the U.K. that you need to update — then we’re happy to process your application. If you’ve lost the original certificateany of the original documents, you can either get a replacement from the General Register Office (if you were married in the U.K.), or you can change your name by deed poll. If your marriage certificate isn’tany of your divorce documents aren’t in English, you’ll either have to get itthem translated by an accredited translator, or you can apply for a deed poll. To update your child’s identity documents from yourtheir country of origin, you’ll have to follow yourtheir own country’s procedure. If you don’t do this, you may have difficulty updating your child’s documents in the U.K. Please also see our advice for foreign nationals living in the U.K. Unless you’re going to give up your child’s current nationality, you’llYou’ll also have to follow the procedure for changing your child’s name in yourtheir country of originany other country you’vethey’ve got nationality of — a deed pollyour marriage certificateyour divorce documents can only generally be used to change your name in the U.K. Please also see our advice for immigrants to the U.K.
You’ll also need to have consent to the change of name from everyone with parental responsibility for your child. If you make an application with us, we’ll work out what sort of consent you need to get, and who from. You can make an application with us now, so your documents are ready for you to sign on your 16th birthday. If you want to change your name before you’re 16, one of your parents will have to apply for a child deed poll on your behalf. If you only want to change your child’s social title — that is, to Mr, Mrs, Miss, or Ms — then you don’t need a deed poll. It’s generally enough simply to inform organisations in writing that you’ve changed yourtheir title. Please also see our advice on changing your name whilst outside the U.K. It costs £ 14.00 to make an online deed poll application with us (including postage). We’ll draft your deed poll documents and send them to you within 2 working days. We’ll also give you personal advice if we feel there’s any kind of complexity in your situation. If we need any extra information to be able to draft your deed poll, we’ll get in touch with you. And you’re welcome at any point to ask us for guidance — before or after you’ve changed your name. How do I update my passport and driving licencechild’s passport (and other documents)? After you’ve signed your deed poll, you can use it to apply for a new passport and driving licencefor your child. It’s your responsibility to tell everyone you’ve changed your child’s name. Unfortunately, we can’t do this for you, although we’ll send you a list of organisations you should write to, and give you guidance as to how to go about doing it. We’ll also draft a cover lettercover letters for you (as a Word documentWord documents) which you can print out to send with your deed poll. Most organisations — including HM Passport Office and the DVLA — will want to see yourthe original deed poll as proof of your child’s change of name. There is no “official” place where you have to register your child’s change of name. In the U.K., changing your name is a legal matter — similar to writing a will — and your name is legally established by usage. This means that your child’s name will have legally changed once you’rethey’re known by yourtheir new name on all yourtheir documents. In law, your name is legally established by usage. This means that you have the right to call yourself whatever you want at any time. You can simply start using another name, and gradually — by usage and reputation — you become known by it. Your new name becomes official once you are known by it for all purposes — meaning on all your official documents — your passport, driving licence, and so on. In practice, most organisations won’t just take your word for it that you’ve changed your name — they will want to see documentary evidence that you are using your new name for all purposes, and this is why you need a deed poll (or some other sort of formal document).